I saw these ornaments in the grocery store and on sale. I love them plain but thought I would personalize them making them somewhat winter and icy looking. I printed out the sentiment and glued it on the ornament using plain school glue to attach the paper. 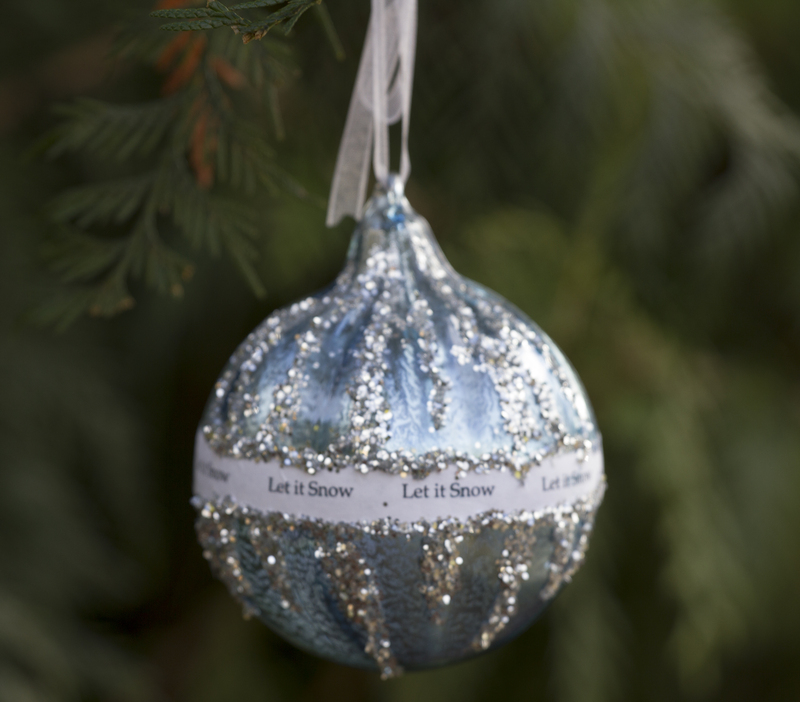 Then I used silver glitter glue to draw drips on ornaments and then sprinkled with coarse glitter. The sentiments could be a family name with the year, favorite song lyrics, or documenting a special occasion. Small pieces of paper could be typed or written on and rolled up and placed inside the ornaments for a small time capsule of Christmas memories. 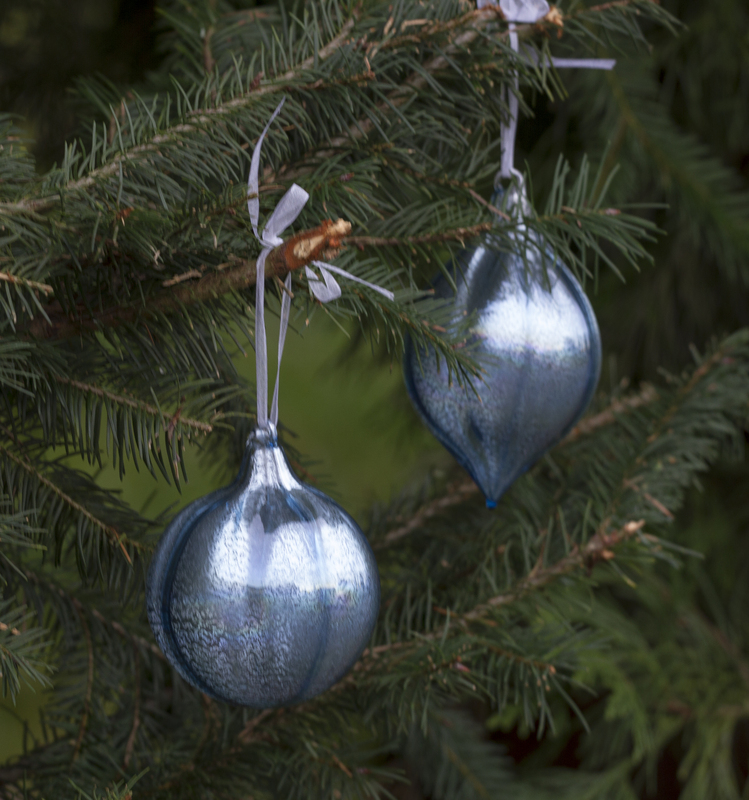 However you choose to dress up plain ornaments, they become one of a kind and will hang proudly on your Christmas tree. 20 Dec	This entry was published on December 20, 2014 at 11:15 pm. 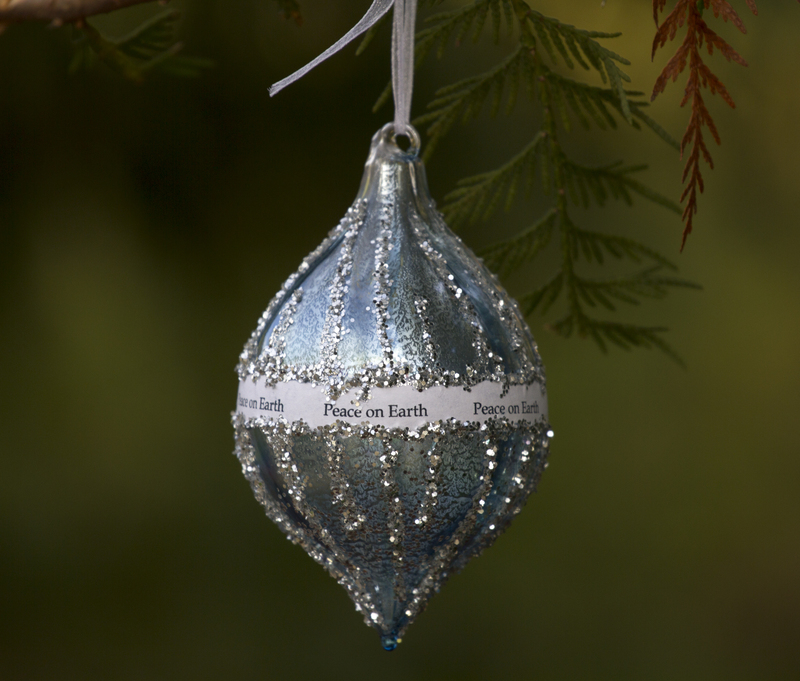 It’s filed under DIY, Holidays at the Cottage and tagged Christmas, decorations, glitter, holiday, ornaments, sparkly. Bookmark the permalink. Follow any comments here with the RSS feed for this post.